Sea and Land Project Engineering Limited has successfully completed the structural design of the tether block required to restrain the water injection (WI) riser for the Statoil Maria oil development, where it takes injection water from the nearby Heidrun platform. The WI riser is to be a 10.3” flexible pipe in a free hanging catenary configuration. 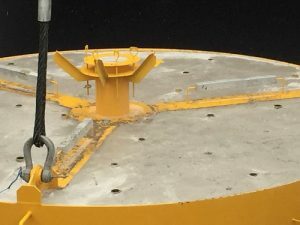 To ensure stability at the seabed location the riser requires an axial restraint which is to be provided by a friction clamp tethered to the anchor block on the seabed. The anchor block was designed and successfully installed on the seabed on Monday 20th June 2016. 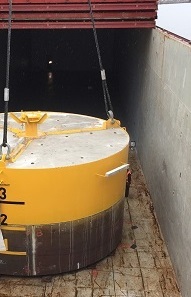 The anchor block is an 8m diameter circular caisson, designed to penetrate 3m into the seabed, and is constructed primarily from steel with additional cast in-place concrete kentledge. It has a lift weight in air of 180 tonne. 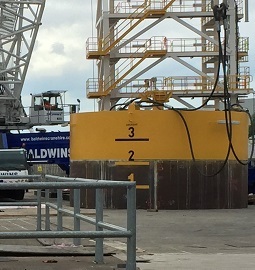 It is to be installed by a DSV mounted crane into approximately 340m water. 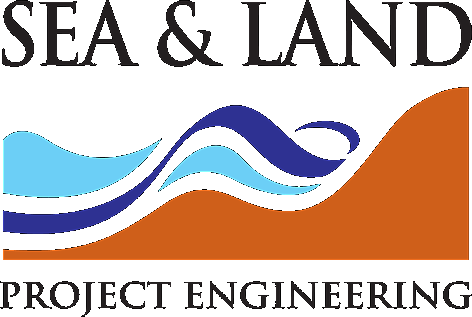 Detailed design included temporary construction conditions, in-place and fatigue, in-air lift, in-water set-down analysis and the assessment of geotechnical stability considering a VHM yield surface approach for ULS condition in normally consolidated marine clay.